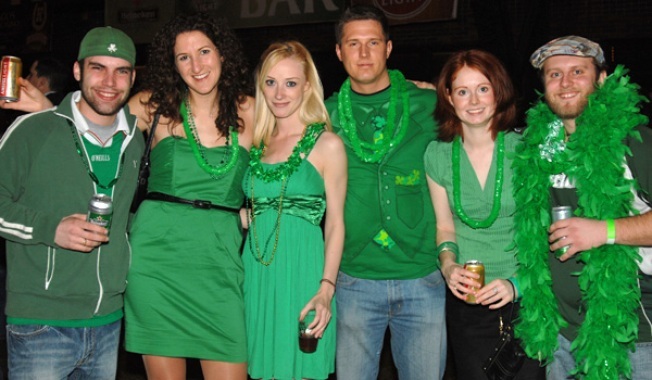 The Young Irish Fellowship of Chicago held it's Forever Green party Friday at Navy Pier. Those looking to celebrate St. Patricks Day early should head to Balboa Park on Thursday, February 24th. The San Diego Museum of Man (SDMoM) and the Irish community of San Diego are hosting Tower After Hours: Ireland! to celebrate Irish culture. There will be an array of regional food and drinks from local pubs and restaurants, as well as Irish musicians and dancers from 6-8 p.m.
Tower After Hours is part of an ongoing series that showcases diverse ethnic groups in San Diego. All events take place on the museum's main floor below the 100-foot rotunda and provide an opportunity for San Diego's diverse communities to share their cultural heritage through food and performing arts. Tickets are $10 for SDMoM members, $20 for non-members and $15 for students and military. Ticket price includes entrance to SDMoM, food, beverages, and cultural entertainment. Tickets are also available online.